A good looking table matters! 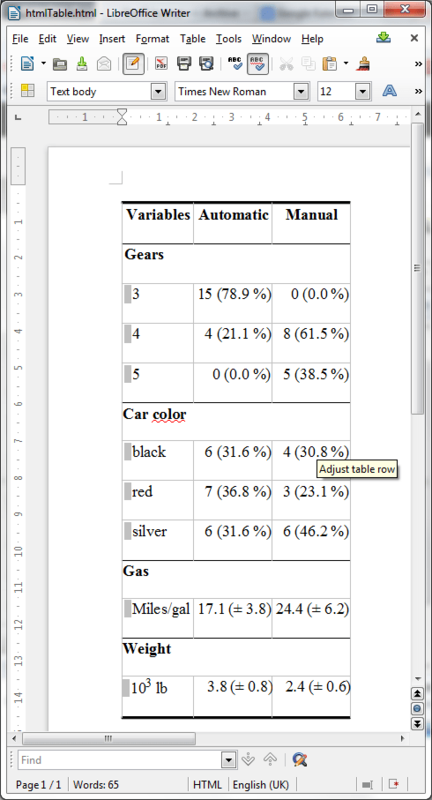 This tutorial is on how to create a neat table in Word by combining knitr and R Markdown. I’ll be using my own function, htmlTable, from the Gmisc package. Background: Because most journals that I submit to want the documents in Word and not LaTeX, converting my output into Word is essential. I used to rely on converting LaTeX into Word but this was tricky, full of bugs and still needed tweaking at the end. With R Markdown and LibreOffice it’s actually rather smooth sailing, although I must admit that I’m disappointed at how bad Word handles html. Now we calculate the statistics. The getDescriptionsStatsBy() is a more interesting alternative to just running table(). 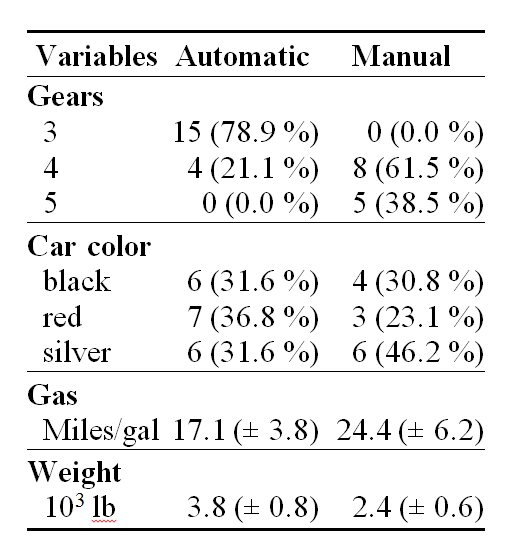 It can also run simple statistics that often are reported in table 1.
ctable – a formatting option from LaTeX that gives top/bottom border as single lines instead of double. Below is the table. 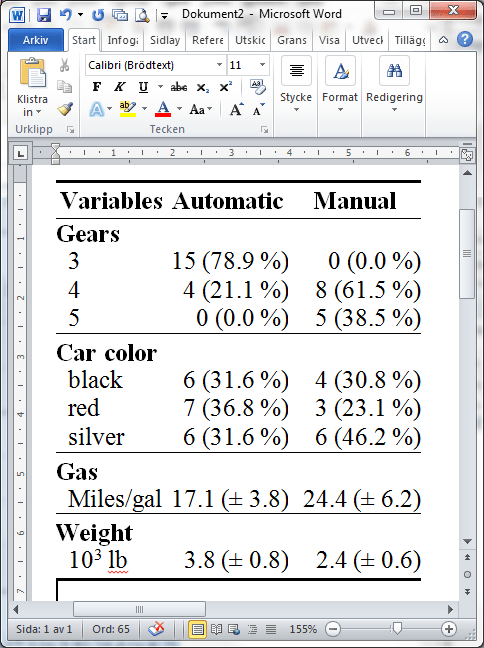 Note: the table is formatted by this blog CSL, it will look different after running the Rmd document through knitr. My table 1. All continuous values are reported with mean and standard deviation, x̄ (± SD), while categories are reported in percentages, no (%). The table looks actually a little funny in Writer but don’t worry, it’ll be great! Now select the table, copy and paste into word, voila! To leave a comment for the author, please follow the link and comment on their blog: G-Forge » R.